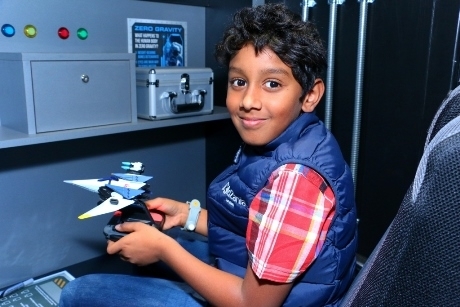 KidZania London will be launching a new Starlink Space Station gaming activity in partnership with technology company, Ubisoft, to help teach children in Key Stages 2 and 3 all about the solar system and space. The new activity will be aimed at Key Stage 2 and 3 pupils and is described as a gaming activity all about the solar system. Launching on 14th August, children taking part in the activity will become Interstellar Space Cadets and learn all about the real intergalactic universe that Ubisoft’s latest gaming release, Starlink: Battle for Atlas, is based. Split into two sections, pupils will first attend a briefing of their ‘mission’, where they’ll learn about sun and solar system and how gravity holds the system together. They will also learn all about Atlas, the real triple star system within the Pleiades cluster, with seven planets. Children will then go on to customise and create their own space models, before embarking on a virtual journey through the Atlas Star System by playing the game itself. The game will involve testing and navigating the ship, as they explore how a planet’s ecosystem could look, with plenty of wildlife and secrets to uncover. Along the way, they’ll encounter challenges that they will have to act upon carefully, encouraging strong thinking and problem-solving skills. Eddie Kemsley, CEO at KidZania commented: “We are over the moon to be partnering with Ubisoft to bring learning about the solar system to life in a fun and unique way. Known as the indoor city run by kids, KidZania offers a wide range of educational activities for Key Stage 1 to 3 groups. Each activity aims to gives children a taster into adult careers and teach them life skills. Activities can have pupils working in a supermarket, becoming vets, and being part of a motorsport pit crew.